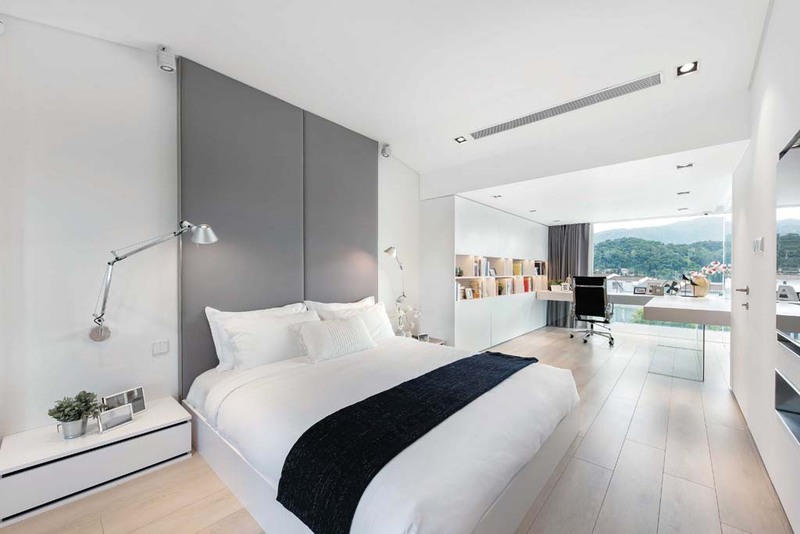 Situated in a suburban district of Hong Kong, this 4,600-square-foot house is light, tranquil, and stylish. 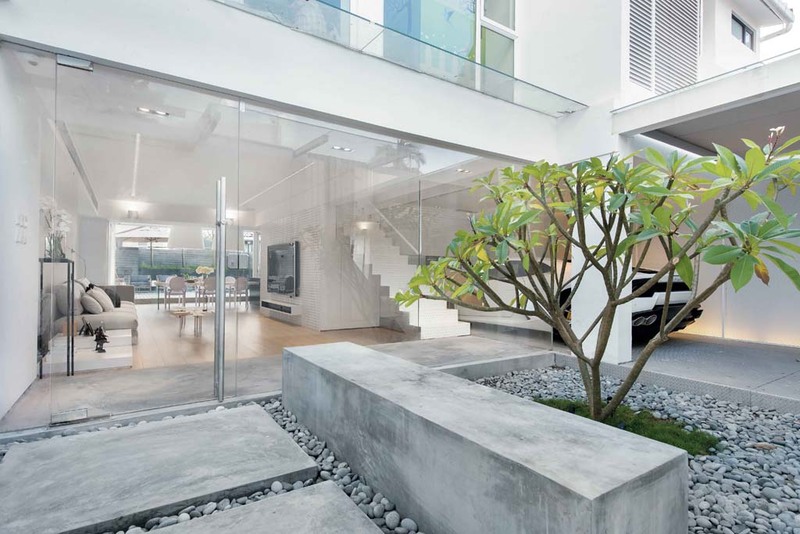 The designer brings together contemporary white walls and light wooden floor to make the house feel warm and inviting. 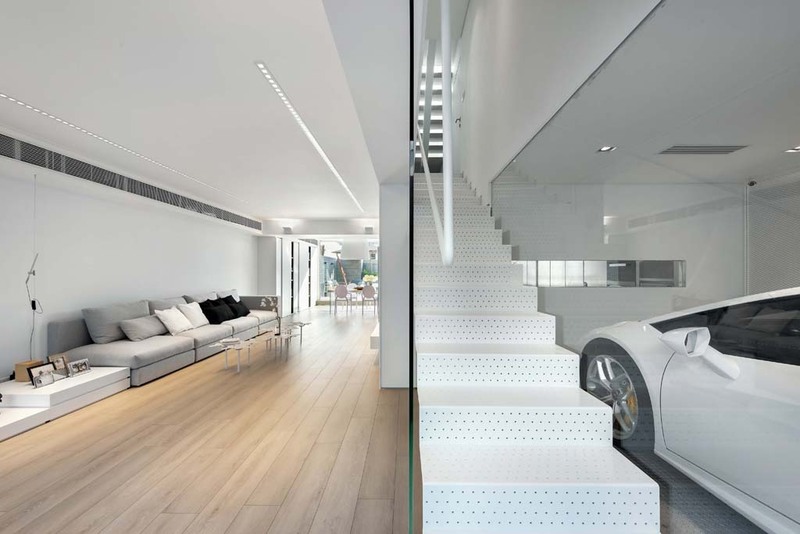 The transparent design of the garage makes this a dream house for automotive enthusiasts, allowing them to admire their collection from the living room anytime. 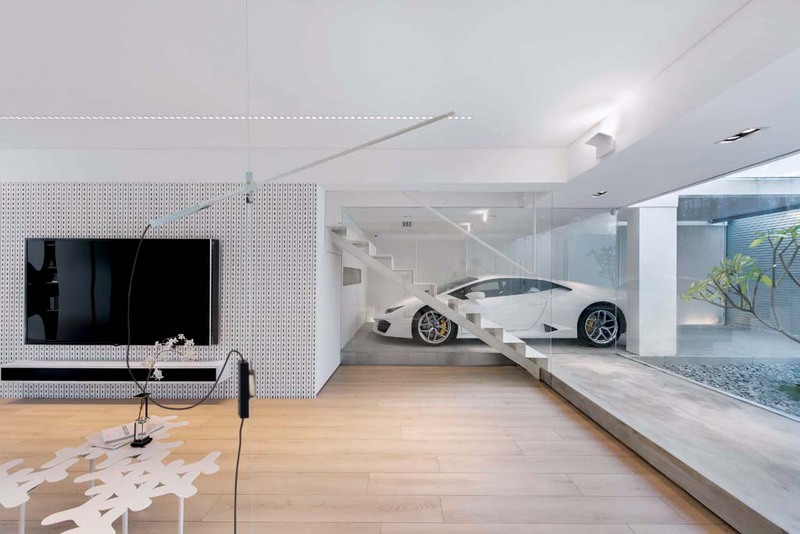 The designer chose to install an iron staircase, replacing the original concrete stairs, in order to reduce the visual impediment between the living room and the cars in the garage, as well as to connect to the angle bracket feature on the living room wall. 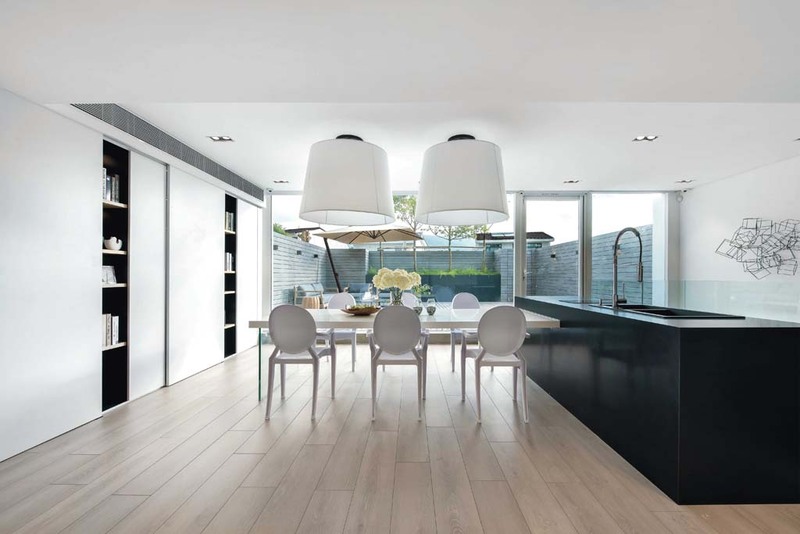 To extend the sense of minimalism, the dining room is illuminated by two enormous white pendant lamps, which brighten up the space. Meanwhile, the spacious master bedroom has an ensuite bathroom, study room, and walk-in closet. With its serene mountain view, the residents can relax and enjoy the sunset every day.